Maine Accessibility Corporation is a locally owned and operated business offering sales and service for a wide range of equipment designed to help people move easily about their home or office in their day to day lives. This includes products such as ramps, elevators, stair lifts, chair lifts, platform lifts, dumbwaiters and other related products. We are not a homecare or medical supply company selling lifts and ramps on the side. We are 100% dedicated to the accessibility field; it's all we do, all day, every day. Our experienced staff is in the field everyday helping Mainers to safely remove obstacles and barriers in their homes, businesses, churches, schools, clubs and other buildings with the use of modern lift technology. In addition to servicing the brands we sell we also service products from Acorn, Stannah, TK Access, Sterling and Minivator. Our headquarters are located in Hermon and Portland Maine. This allows us to efficiently provide services to the entire state of Maine. If you have any questions about our products or services, please contact us. We carry a wide selection of elevators, stair lifts, wheelchair lifts and other accessibility products from the companies below. For more information on specific products, take a look at our products pages or contact us and we'll be glad to answer any questions you may have. Savaria develops manufactures and distributes innovative top-of-the-line accessibility products that include a complete line of luxury residential elevators, home elevators, ADA compliant public elevators, commercial platform lifts, residential wheelchair lifts, stair lifts and automatic doors and operators. Bruno manufactures a range of high quality residential and commercial stair lifts, platform lifts and vehicle lifts. 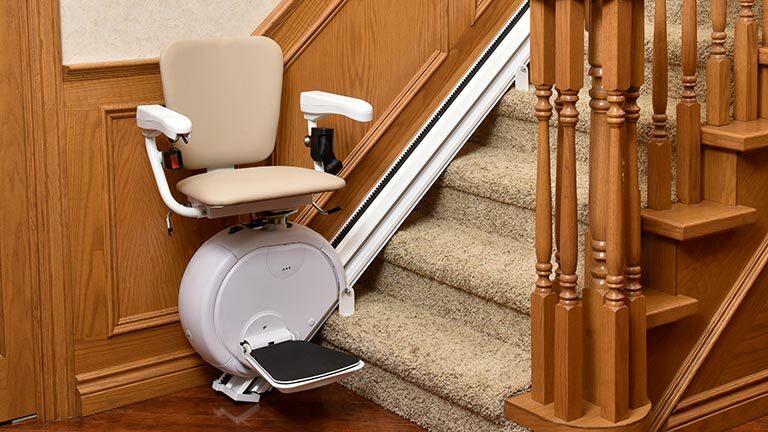 Models include the Electra-Ride series (I, II, III and LX) stair lifts. 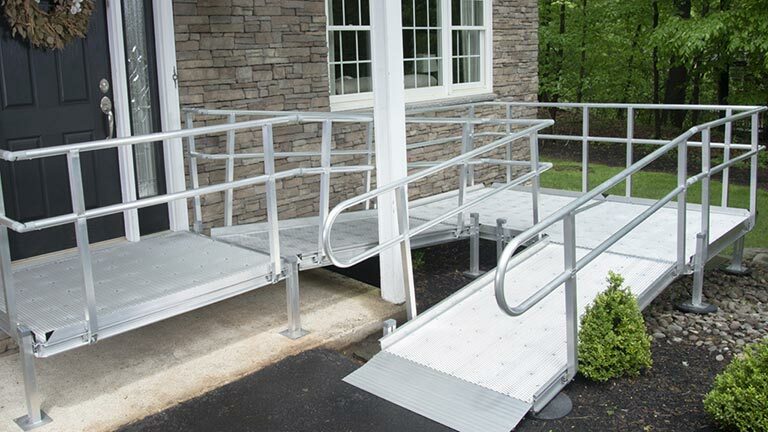 National Ramps carries both aluminum and powder coated steel modular ramp systems, and offers extremely low maintenance and turnaround times compared to most wooden ramps. 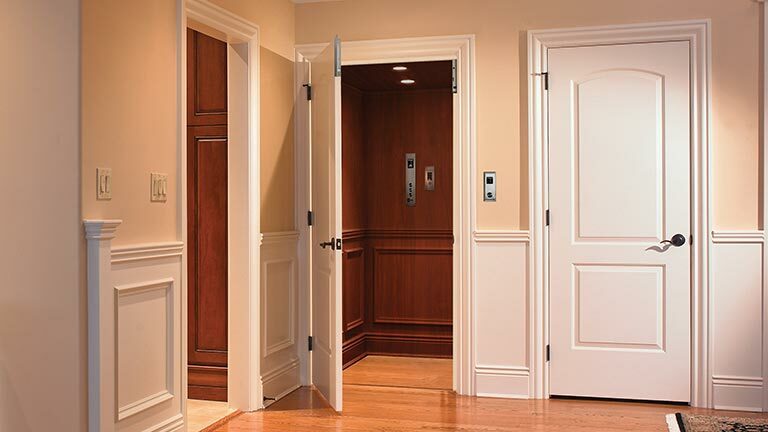 Waupaca manufactures residential elevators and residential and commercial dumbwaiters. Models include the Designer, Heritage and Estate elevators and the Cable-Waiter™ dumbwaiter. Harmar manufactures a variety of stairway lifts and dumbwaiters. Models include the Pinnacle Premium Stairway Lift and the Ascent Dumbwaiter. Inclinator manufactures a variety of stair package lifts, wheelchair lifts, residential elevators and dumbwaiters. Models include the Elevette® series elevator, SpectraLift® and Inclinator® VL series wheelchair lifts and the Homewaiter® series dumbwaiters.